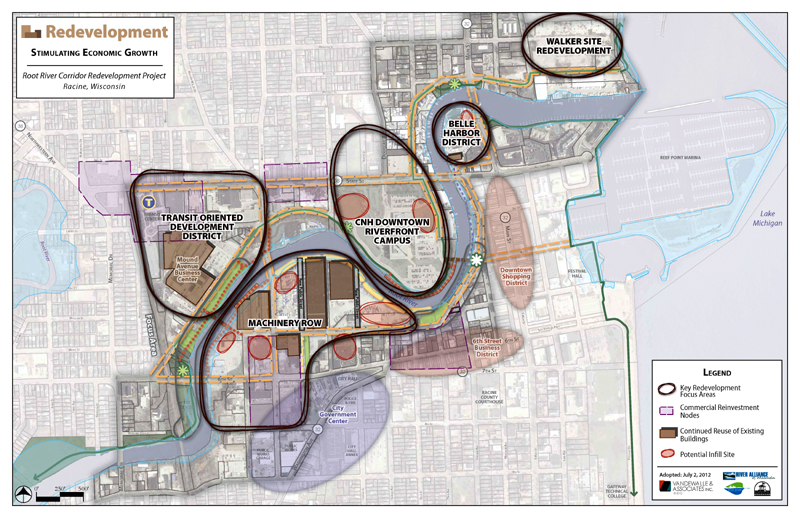 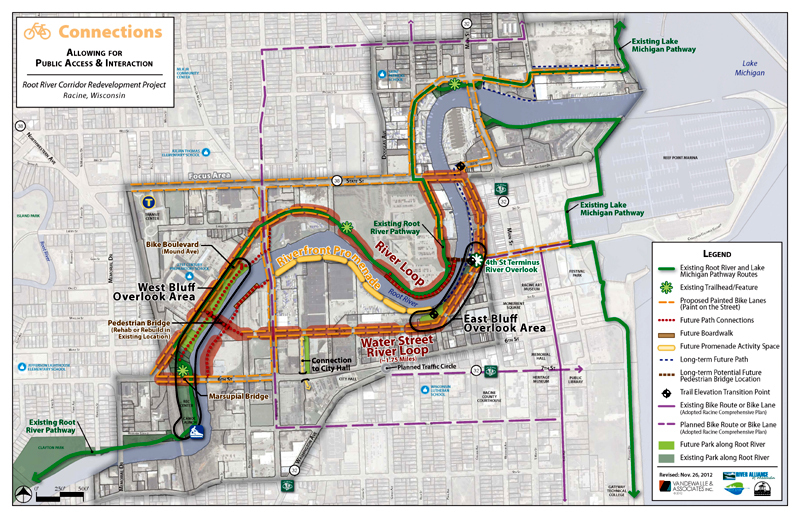 Racine RootWorks Root River Corridor Vision and Plan | Vandewalle & Associates, Inc.
V&A has been working with the City of Racine and its economic development partners on a transformational vision for urban and economic renewal since 2011. 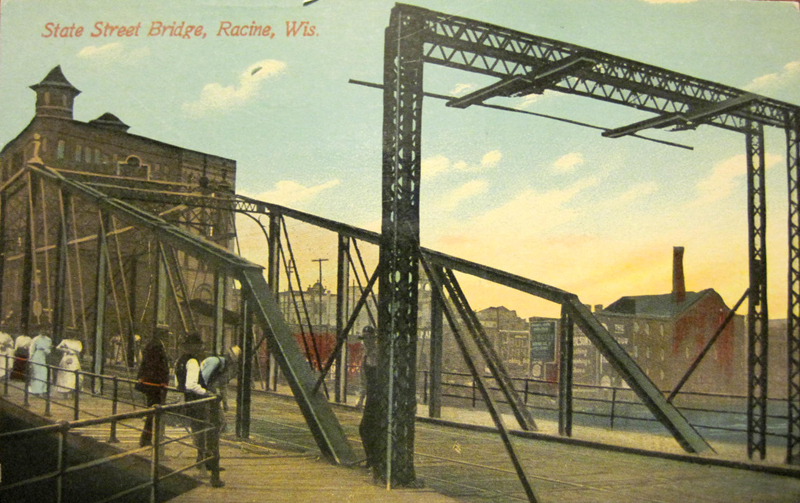 In helping craft Racine’s City-Wide Economic Opportunities Analysis in 2012, the Vandewalle & Associates team uncovered several new opportunities for economic renewal within Racine’s priority urban areas, including the Downtown Lakefront and Uptown. 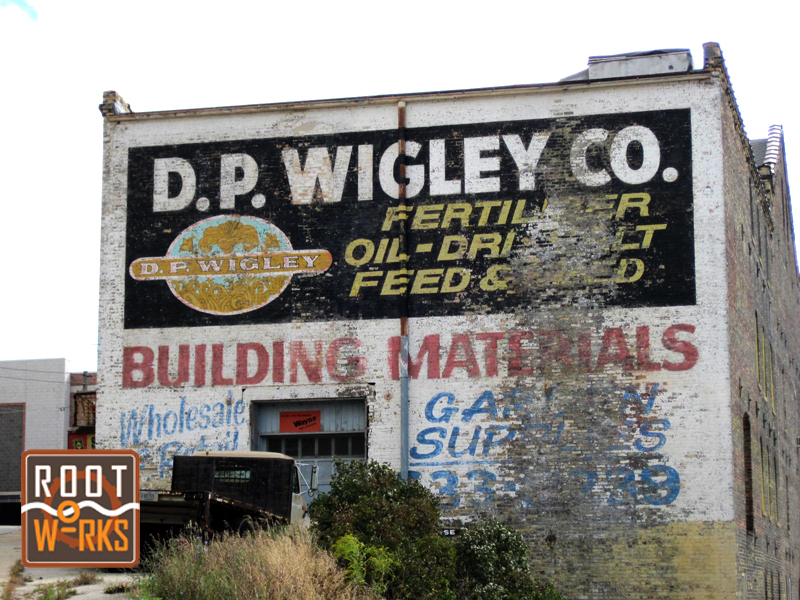 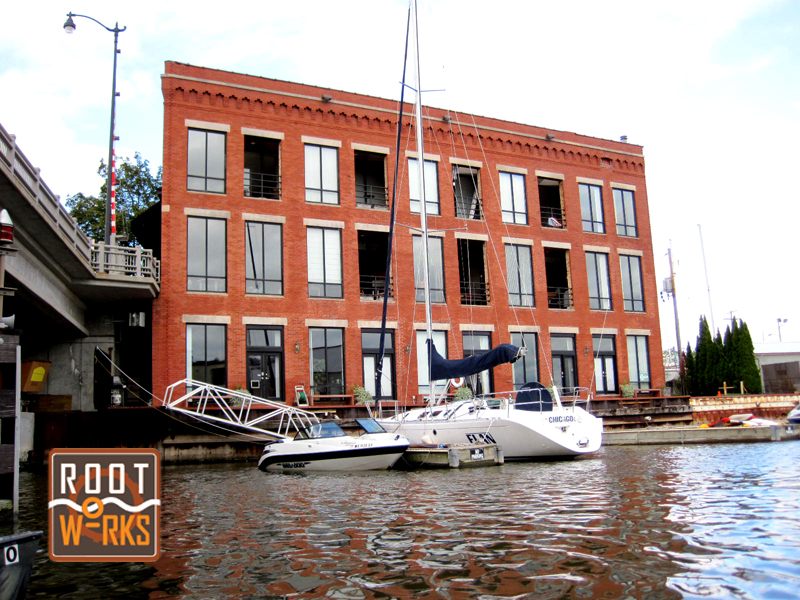 Rising to the top of the list was RootWorks, a plan that fosters renewal of Racine’s historic industrial district with the rebirth of the Root River Corridor as the heart of the City and a hub for a new era of economic growth. 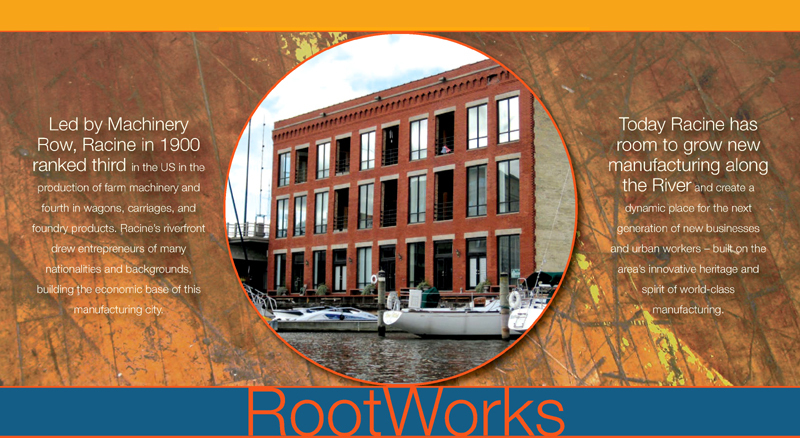 The RootWorks Plan was selected for a 2013 award by the Wisconsin Chapter of the American Planning Association. 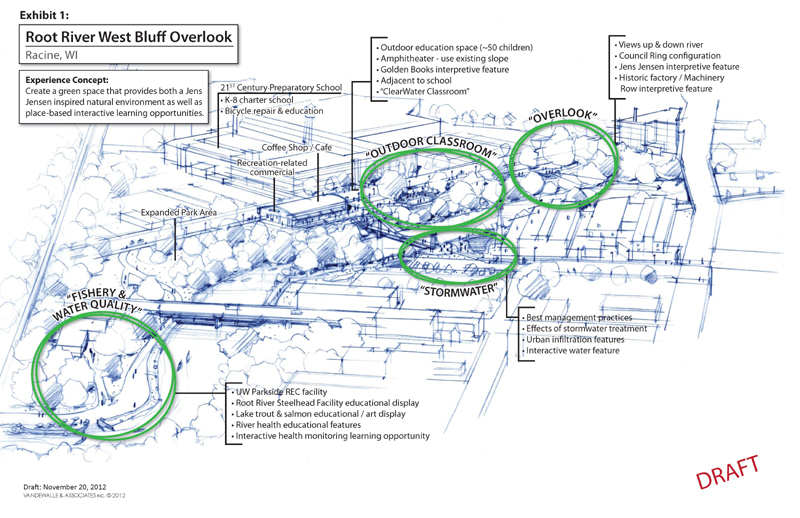 Ongoing project realization and implementation. 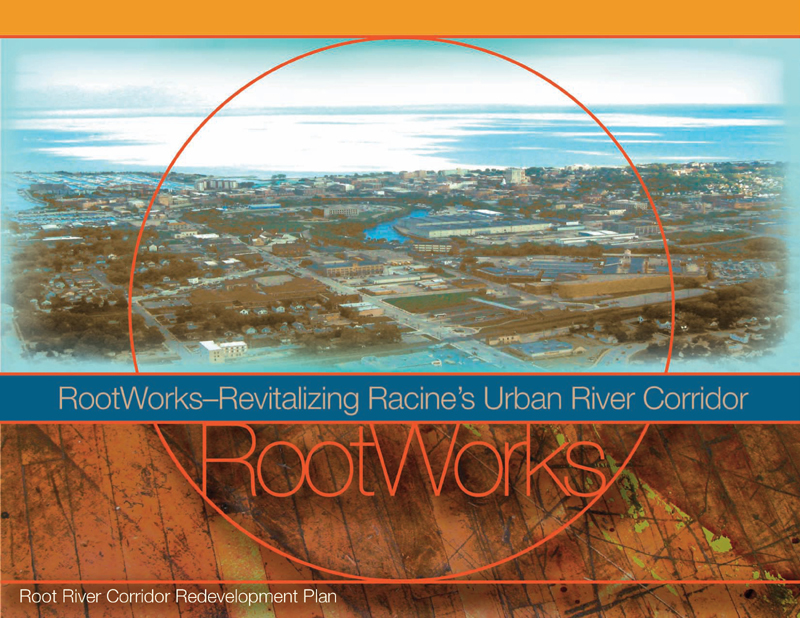 Since adoption of the RootWorks plan in the summer of 2012, its project partners–including the City of Racine, Racine County Economic Development Corporation, Root River Council, SC Johnson and Vandewalle & Associates–have been engaged in implementation of a series of transformational projects targeted in the Plan for the next 3 to 5 years. 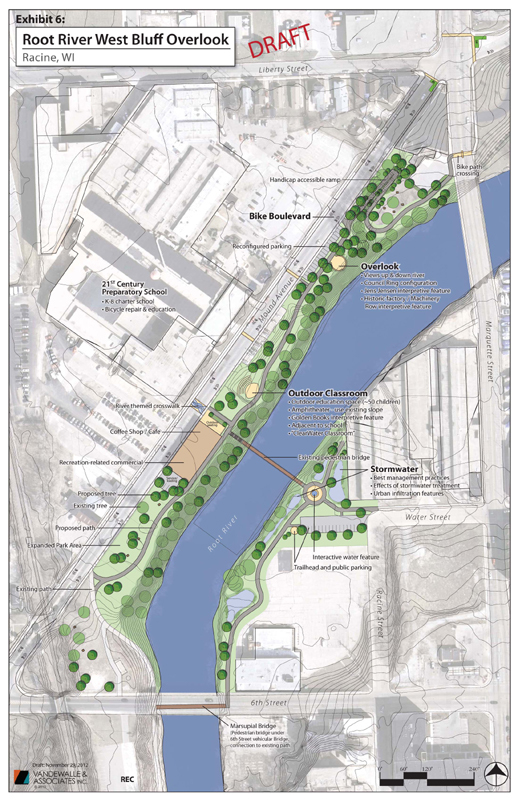 Vandewalle & Associates’ roles include vision development and ongoing management, design, developer recruitment, grant writing and funding procurement, tactic and strategy development, and implementation advancement for these multi-faceted projects.